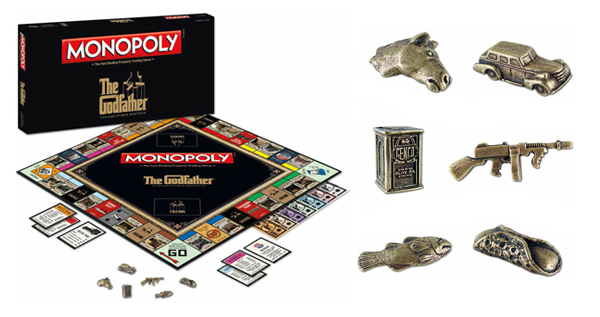 The Monopoly Godfather Edition Board Game is not just a re-branded board the ‘Chance’ and ‘Community Chest’ cards are gone, you now have the ‘Friends’ and ‘Enemies’ cards, the tokens are now a piece of cannoli, a Genco Olive Oil tin, the Don’s limo, a dead fish, a tommy gun and a horse head! And the game takes you on a journey through the history of the Corleone Family and iconic locations featured in from all three Godfather films. Better than the original?